Acupuncture has been practiced for over 5,000 years, but in particular, has developed into a complex medical theory over the past 2,000 years. 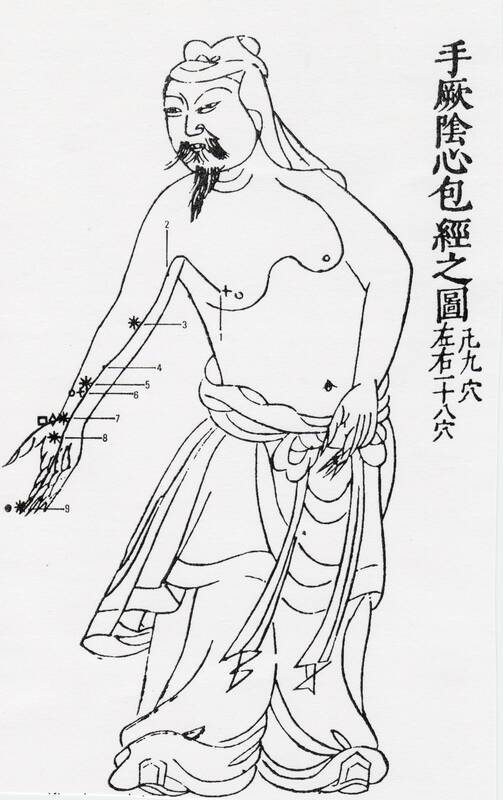 The first medical acupuncture text is the Chinese classic Huang Di Nei Jing (“Yellow Emperor’s Classic of Internal Medicine”) thought to be dated about the 1st century BCE. At the foundation of acupuncture theory is the idea of the body as self-healing, with a dynamic network of interrelated and interacting energies that maintain health and vitality. This system can be interrupted, depleted, or blocked, but can also be re-balanced to support the creative power of healing. Central to this system of thought is the concept of qi (pronounced “chee”). It can be difficult to define, but is often described as life force or vitality, or the energy that circulates throughout the body and enlivens all essential activities, including the spiritual, emotional, and physical aspects of life. Health is dependent on the smooth and balanced movement of qi throughout the body. This flow of qi can be disturbed by a number of factors including the environment, poor nutrition, infections, toxins, trauma, and emotional states such as anxiety, stress, anger, fear or grief. The network of pathways by which qi is circulated throughout the body are called meridians or channels. 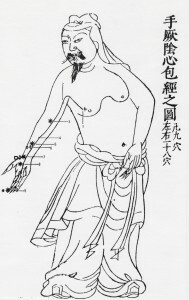 There are fourteen main meridians that run vertically up and down the body, and two unpaired midline meridians, running up the front and back. Qi constantly circulates in these pathways and when they become obstructed, deficient, or excessive, illness can occur. Acupuncture points are specific locations where the meridians come near the surface of the skin and are therefore easily accessible. By inserting very fine needles into these points, an acupuncturist stimulates the body’s own healing response and helps to restore optimum physiologic function. Although often described as a means of pain relief, acupuncture is in fact used to treat a wide range of conditions. It can improve one’s overall balance and well being while also treating specific symptoms, both acute and chronic. Traditionally, acupuncture is used as a holistic approach to the prevention and maintenance of health as well as the management of disease. As with many systems of natural medicine, the importance of the mind and “spirit” is acknowledged as integral to the health of the body. Most patients find acupuncture to be very calming and relaxing, and often helpful in the resolution of emotional disorders. The skill of an acupuncturist lies in their ability to make a traditional diagnosis from what is often a complex pattern of disharmony. The exact pattern and degree of disharmony is unique to each individual and with traditional acupuncture will be treated as such with a personalized treatment plan. 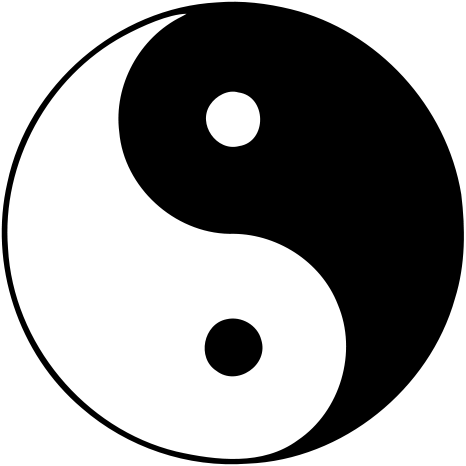 The concepts of yin and yang are integral to the discussion of East Asian medicine theory, diagnosis, and treatment. They express a dynamic system of relationships, patterns and functions. According to this philosophy, all phenomena consist of these two opposing, yet complementary forces that work together to maintain balance. The movements and changes of yin and yang can be seen in all aspects of our lives as well as in the environment around us. Yin is described as the opposite of yang and corresponds to the passive, dark, receptive, cool, and moist principles. It is most dominant at night and its directional movement is downward and inward. In the environment, this energy is expressed in the roots of plants and their ability to take nourishment from the ground. 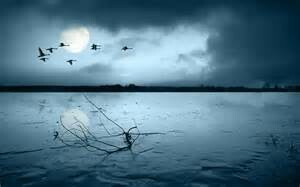 It is embodied in the moon, water, the winter season, the hibernation of animals and dormancy of plants. Yin is the tendency to slow down, to go inward and to reflect, and in the 24-hour cycle represents the quiet, peaceful qualities of nighttime. Yang is the opposite of yin and is represented by the active, light, warm, dry and creative principles. It is most dominant during the day and its directional movement is outward and upward. In the environment, this energy is expressed by the warmth of the sun, growth of plants above the ground, and creative movement. The yang is said to rise in the spring and is at its height in the summer. It is the tendency to activity, to go outward and create, and in the 24-hour cycle represents the dynamic, bright qualities of daytime. Nothing is completely yin or yang as everything contains both tendencies. Yin and yang both embody and constantly transform into each other, as night into day, and winter into spring and summer. For example, day is yang and night is yin but they cannot actually be separated as one leads naturally to the other in the 24-hour cycle. Humans and all life maintain active phases (yang) that are balanced by times of rest (yin). Within the yang energy of the day, there is shade (yin), and within the yin energy of the night, there are stars (yang). This interdependent relationship is reflected in the universal symbol of yin-yang, which represents a dynamic equilibrium between the two principles and the interplay of each within the other. Our health also reflects the relative balance or imbalance of yin and yang. When the flow of qi is insufficient, unbalanced or interrupted, yin and yang become unbalanced, and illness may occur. According to the Su Wen (“Yellow Emperor’s Inner Classic Questions and Answers”), “when yin keeps balance with yang and both maintain a normal condition of qi, then health will be high-spirited. A separation of yin and yang will lead to the exhaustion of essential qi.” Health and well-being include a balance between the mind and body, between activity and rest, and in outward action and inward reflection. The concept of the five elements, or five phases, has been an aspect of Chinese philosophy and medicine since at least 400 BC. This system represents the changing cycles of life as seen in the fluctuations of the seasons, in energetic tendencies, and the natural rhythm of growth, movement and rest in all things. There are five elemental tendencies, wood, fire, earth, metal, and water. In East Asian medicine, the synergy of the elements and their integration in a person is defined by the relationship of one element to another. 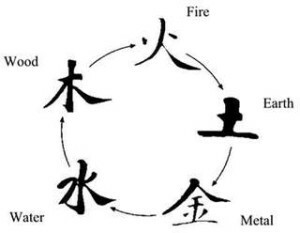 In what is referred to as the creation (sheng) cycle, each element phase leads naturally to the next, and the health of each one depends on, and is created by, the element that comes before. In the control (ke) cycle, each element controls the one two stages away, thereby preventing its excessive or over-controlling nature. The elements or phases are perhaps most clearly represented by the seasons. Wood is correlated with spring, a time of birth and new growth. In the environment it can be seen in the re-emergence of plant life, and in animals with the end of hibernation. Yang energy is exuberant, full of activity and vitality. New green shoots are budding and movement is upward and outward. Wood is also a quality of energy in our bodies, and resonates in particular with the Liver and Gallbladder organ-meridian system. When wood energy is imbalanced it can lead to problems such as tension and irritability. After spring comes summer, the fire element. Nature reaches its zenith and plants that were just emerging in the spring are now at their height of growth and abundance. This phase is represented by warmth, joy, radiance and prosperity, qualities attributed to the Heart and Small Intestine meridian-organ system. 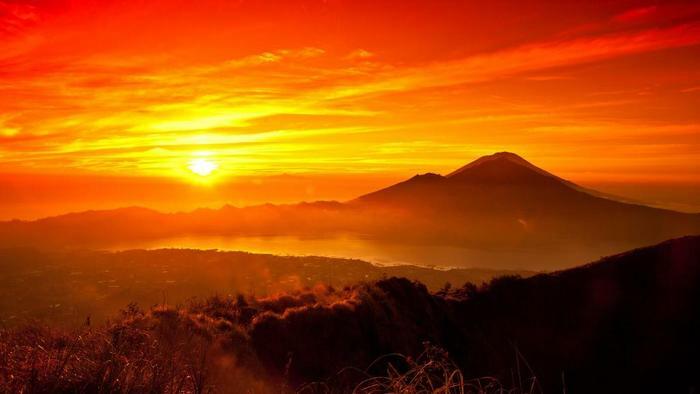 When out of balance, the fire element can cause inflammation, heat, restlessness, insomnia, and anxiety, or difficulty expressing joy and laughter in life. Following the height of summer is a fifth season the Chinese call “late summer”. This represents the time of harvest. The element is earth, and it correlates with the Spleen and Stomach meridian-organ system. This system influences the ability to extract and absorb nutrition from food, and on an emotional level, represents being “fed” by the nurturing and generosity of others. Weight is sometimes a problem with people having an imbalance in the earth element, either over or underweight, or they may have particularly sensitive digestive systems. There is sometimes difficulty asking for and receiving support from others. melancholy and difficulty letting go. The water element is symbolized by winter, a time of rest, darkness, and stillness. In nature, there is dormancy and decomposing plant matter. But this period is also about recharging and regeneration, and about watering and replenishing. It provides the essential groundwork and nourishment for the creation of a healthy wood element in spring, in order to once again bring forth new growth. The Kidney and Urinary Bladder are ruled by this element, and it especially influences the deep structures and regenerative functions of the body such as the bones and reproductive system, and the deep reflective tendencies of the mind and spirit.